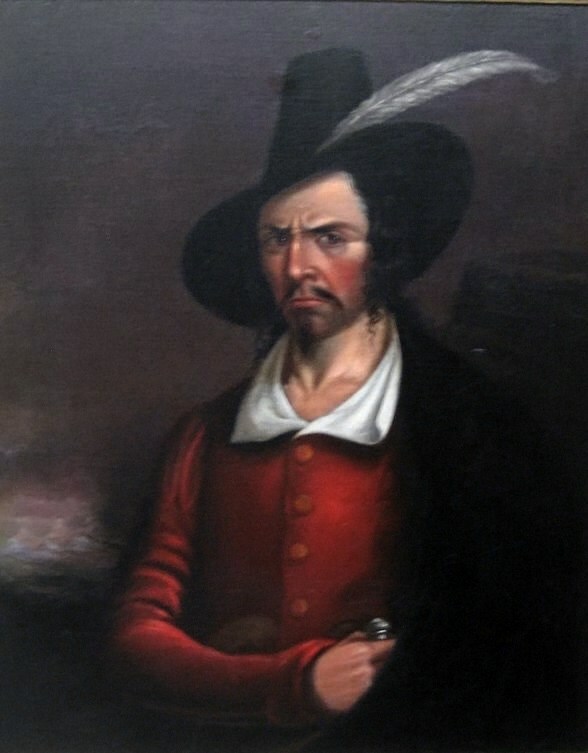 Jean Lafitte (1780-1823) was a legendary French privateer and pirate who resided in the Gulf of Mexico throughout the early 19th century and was widely believed to have been born in either the French colony of Saint-Domingue or in Basque-France. He operated a warehouse in New Orleans by 1805 to assist in dispersing goods that were smuggled by his older brother Pierre Lafitte. When the government of the United States passed the Embargo Act of 1807, the brothers in turn transferred their order of operations to an island that was located in Barataria Bay (Louisiana) and by 1810, their port was highly successful. This of course led the brothers to pursue a smuggling operation of great success while also beginning to get engaged in the world of piracy. In 1814, Lafitte took it upon himself to warn his fellow Barataria smugglers of a potential military attack on their operation base, and an American naval force did in fact successfully invade the island in September, capturing the vast majority of Lafitte’s fleet. Eventually however, in return for a pardon for the smugglers, Lafitte and fellow pirates assisted General Andrew Jackson to defend New Orleans against the British in the last battle of the War of 1812. Both of the brothers eventually became spies for the Spanish during the Mexican War of Independence and they both moved to Galveston Island, Texas, where they created a pirate colony that they referred to as “Campeche”. Jean Lafitte kept up his work of piracy by way of attacking merchant ships around the ports of Central American until his death that occurred while he was attempting to try and capture Spanish vessels. Though heavy speculation surrounds both his life and his death remains to this day to baffle and bewilder historians to this very day. 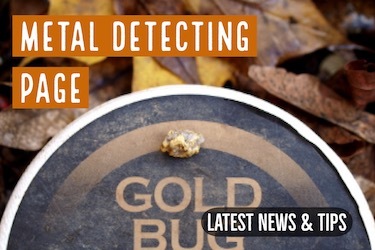 While there are a number of tales of hidden and buried treasure that may come in association with the name of the infamous pirate, Jean Lafitte, there are a couple of stories that stand out above the rest and may prove to be quite fruitful to the modern day treasure hunter. Between 1817 and 1822 Jean Lafitte and his brother called Galveston, Texas their home. The island of Campeche is where Lafitte and his fellow pirates were well-known for raiding a great number of merchant ships throughout the Gulf of Mexico and it is the place where many believe that he may have left a large treasure behind. Following the death of Jean Lafitte, countless tales of long lost treasure that was buried by Lafitte and his comrades spread like wildfire throughout the Texas and Louisiana coasts. When the Lafitte’s sailed from Galveston, the duo had little more than three ships and according to legend they were said to have created caches of loot in various places before they actually set sail from the area. In fact, according to a slave from the time, both the Mermentau River and the Calcasieu River were widely utilized by the Lafitte’s and several caches were buried in the area. 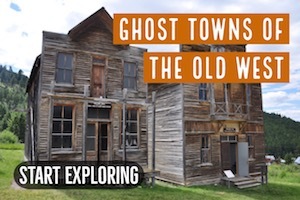 There are additionally several tales of a large cache that is said to be located somewhere on the Sabine River close to a grove of gum trees, roughly 3 miles east of the Old Spanish Trail. In fact, many coins from the era have reportedly been located on Grand Terre as well which is an area that is accessible only by boat. Not to mention yet another tale of a large, lost cache that may be located on an island that is unnamed on Lake Borgne. 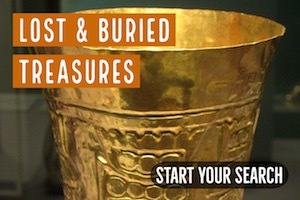 Here are some tales that may spark a bit of inspiration into the hearts of treasure seekers. Back in 1915, a city worker in New Orleans found a chest that was filled with over 1,500 doubloons. And in Gretna in 1960, yet another huge number of gold coins were located in an area that was often frequented by the Lafitte’s and their men. 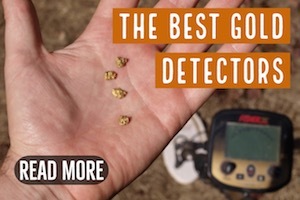 While you may be tempted to grab your metal detector and head out the door in search of one of the many lost treasure troves left behind by Jean Lafitte, be sure to always do some research as to what the laws and restrictions are for treasure hunting and metal detecting in both the state of Louisiana and the state of Texas. Some areas may now be off-limits to treasure hunting. Often there are special rules and regulations that you will need to be aware of before you start your search. 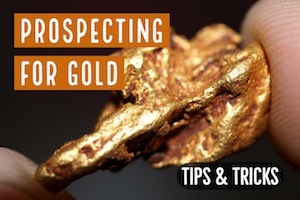 Discovery of large treasures usually piques the interest (and greed) of other parties, and the the finders will often find themselves wrapped up in lawsuits with various people laying claim the the discoveries. Silence is golden when it comes to the discovery of lost treasure. Be sure that you always set about getting a permit if necessary and if the area that you are seeking to search on is private property, please ensure that you always gain permission from the owner prior to setting out. I give you these warning so that you are aware of potential challenges you may encounter when hunting for lost treasure, but don’t let it completely discourage you. Treasure hunting is an exciting hobby, and there is nothing like the feeling of unearthing an old coin with a metal detector . 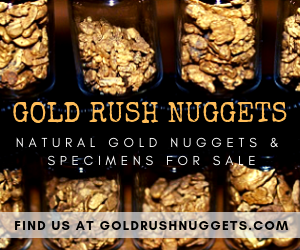 An old treasure chest of gold and silver coins is even better!